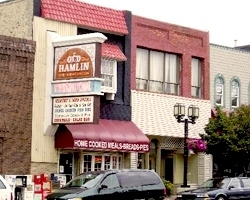 Historic family establishment located in lovely Downtown Ludington. Known for its wide variety of food with high-backed chairs and Greek, Italian and American fare. Open 6 a.m. to 8 p.m. daily.